Picture this: Miles from the nearest hospital, a family calls 911 because their child is having trouble breathing. The local emergency medical service (EMS) rushes to their home. Uncertain of the diagnosis, one of the paramedics tries describing the symptoms to a pediatric emergency physician in the closest hospital, but the cell signal in this rural area is unreliable, quality is poor and it’s difficult to understand each other. The call eventually drops. What to do? Risk intubating the child unnecessarily at the scene, or wait until the EMS can transport her on a long journey to the hospital, which presents additional risks? swyMed, a leading global provider of mobile telemedicine solutions, is taking the guesswork out of such emergency situations, and helping to save lives in the process. This innovative company provides EMS teams and other first responders with a mobile telemedicine solution called the DOT Telemedicine Backpack. This portable, ruggedized backpack contains next-generation telemedicine and connectivity technologies that enable EMS staff in the field to securely and reliably transmit clinical data and conduct live video consultations with medical experts from an emergency scene, and en route to the hospital. The EdgeConnect SD-WAN is so adaptable to any form of connectivity, we can use two different carriers simultaneously to increase signal quality beyond what we could achieve with either carrier individually. Combined with our patented software, we’re now able to bring mobile telemedicine to areas that would have been impossible in the past due to poor signal strength. The swyMed DOT Telemedicine Backpack is a complete, integrated solution comprised of a ruggedized laptop, redundant modem connections, ten-hour battery, HD camera, integrated microphone, and a small 12-volt DC-powered Silver Peak Unity EdgeConnectTM EC-US appliance that enables dual LTE connectivity to two diverse 4G LTE networks. The solution enables remote medical professionals to treat and monitor patients from anywhere by accessing real-time clinical data and observing live video of the patient transmitted from the backpack through swyMed’s telemedicine application hosted in Microsoft Azure. swyMed software shrinks data packets to a very small and efficient size and uses TCP as the transmission protocol to provide packet loss intelligence. This unique approach meshes perfectly with the Silver Peak tunnel bonding and path conditioning capabilities such as forward error correction and packet order correction, which automatically reconstitutes lost or out-of-order packets at the receiving end of a WAN link to avoid network slow-downs resulting from multiple round-trip retransmissions. 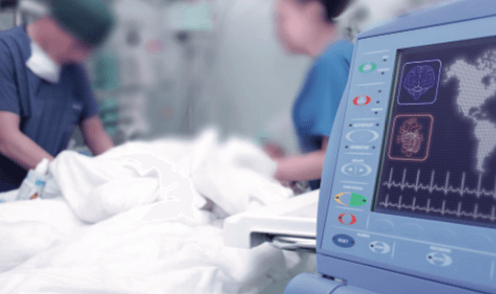 These advanced technical capabilities are vital for enabling swyMed’s telemedicine services in conditions where most people assume that remote medical help could never be available. Cellular signal quality can vary widely, even within small changes in location, as well as across different providers. In a given location, one provider may have a signal quality of 70 percent while another’s signal quality may be at 50 percent. Yet, by bonding the two links together with the EdgeConnect SD-WAN, swyMed can achieve an aggregate signal quality in excess of 90 percent. The impact of swyMed’s DOT Telemedicine Backpack on emergency medical care is profound. 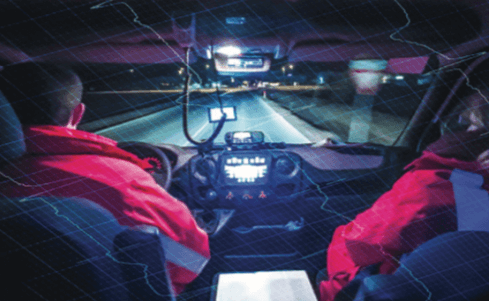 With the global number of emergency medical vehicles in the hundreds of thousands, this breakthrough solution could have a positive impact on millions of lives. Already, swyMed has outfitted first responder units in four states in the United States and in countries around the world with deployments as diverse as mobile intensive care in the Netherlands and maternal-fetal health clinics in rural India. These deployments include standard ambulances, specialized mobile stroke units, mobile intensive care units, and fixed units. One real-life example of how swyMed helps save lives involved a man in Texas suffering from severe chest pain. The local EMS was quickly dispatched and found the patient conscious, but with an abnormal EKG. The EMS team set up a video session on the DOT Telemedicine Backpack so the man’s local doctor could evaluate the patient’s EKG and talk “face to face” with him to better assess his condition. The doctor recommended that the man be flown immediately to an academic medical center with a full cardiac care unit, and had to convince the patient, who wanted to stay closer to home, that it was in his best interest. Shortly after arriving at the university hospital, the man went into full cardiac arrest, but fortunately he was in the right place and received the life-saving care he needed to recover and thrive, allowing him to be discharged just three days later. Had the EMS simply transported the man to his local hospital, this positive outcome would have been much less certain. Elsewhere, swyMed is helping to speed critical care to stroke victims to reduce brain cell loss and improve recovery; enabling long-distance prenatal care for women in rural India, improving maternal mortality rates; bringing virtual on-site care to burn victims, saving lives and improving ongoing quality of life—the examples go on and on. swyMed also sees vast opportunities to extend its innovative technologies beyond telemedicine for use in any type of “remote expert” application. This could include everything from utility repair crews to service technicians on offshore oil rigs to military teams in the field, pipeline inspectors, and more. Founded in 2013, swyMed is a leading innovator in mobile telemedicine, providing complete solutions comprising hardware, software, and services that enable live video streaming and transmission of patient clinical data from wherever a patient may be to remote medical experts able to provide diagnostic opinions, triage advice, and general guidance to improve the speed and effectiveness of emergency treatment.